When it comes to football, human beings are meant to be inclined to lose some of their basic social skills. In a sport that tends to focus on the result over than anything else, it is quite easy to get more concerned with pushing the ball into the goal and not on showing ‘a virtuous character’. 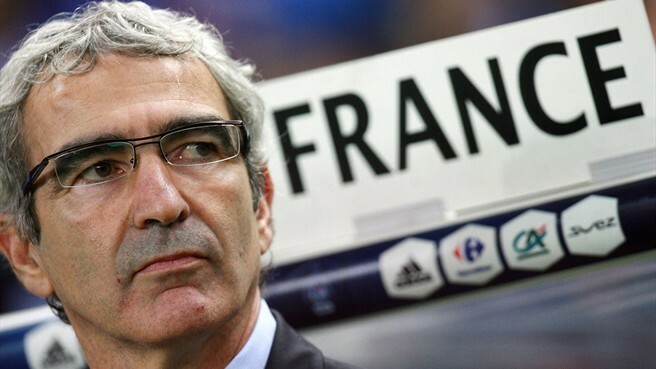 In fact, for many people ‘virtue’ probably means ‘winning’.. Italy is not exception: rather, Italy is probably one of the main examples of this kind of approach to the ethics of football. We tend to get quite extreme (some would say simply ‘passionate’), though we are surely not too extreme. So, what happened on last sunday during the Ascoli-Reggina match came as a surprise, and initiated an ongoing debate about what is right or wrong in football. At some point during the match, one player on Reggina’s side got injured: everyone, as it usually happens in cases like these, stopped playing so to let the guy come back on the pitch. However, one of Ascoli’s player, allegedly not noticing what was going on, kept running with the ball towards Reggina’s goal. He did not encounter any opposition from his opponents (the ref had not stopped the game though), so he carried on, and once in front of the goal he passed the ball a teammate, who scored. Reggina was not very happy with that kind of behaviour: a fight between the players started immediately after. Nonetheless, the ref validated the goal (which was, in fact, a valid goal). But here is the coupe de theatre: after this dodgy goal, Ascoli’s coach, Bepi Pillon, told his guys to let Reggina make a goal, so to equalise the score. Thus, to the dismal of Ascoli’s supporters, the Regginians moved easily through Ascoli’s defence, the keeper did not move, Reggina scored. 1-1. A video of this surreal match is here. Unfortunately this display of honesty did not help Ascoli win, and the match ended 3-1 for Reggina. Still, we were left with a somewhat refreshing message about the value of fair-play against what Weber called “the disenchantment of the world”. This was especially significant in this case, given that Ascoli is fighting to avoid relegation in Serie C and now, after this defeat, is closer to the abyss.. However, in a sport where you can qualify for the World Cup by openly cheating with your hands, and then pretend to be sorry, the case of Ascoli, a small team fighting for survival in Serie B, is to be praised. 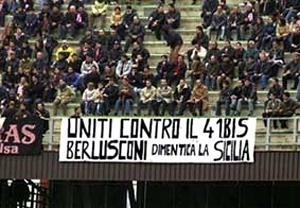 Yet, I admit being happy that I am not an Ascoli supporter.. But I’m much, much happier, that I am not French. 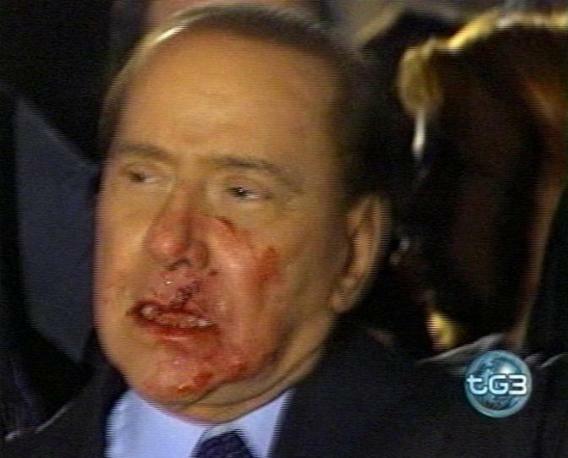 Yesterday it was the No Berlusconi Day. 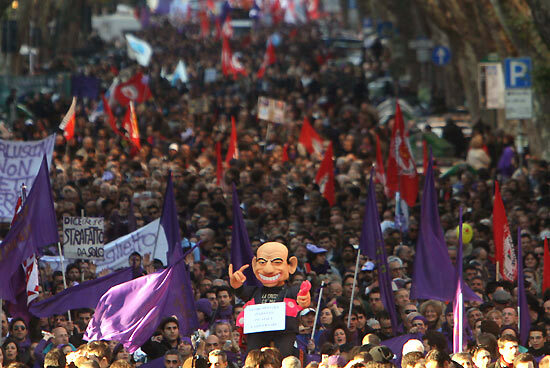 An event organised through Facebook by a group of italians, it quickly gained popularity so that in many cities around the world, citizens (mostly italians) gathered to protest against Silvio Berlusconi and officially ask for his resignation as Prime Minister. Sydney, New York, Toronto, London, Edinburgh (a few, but strong! ), Paris, etc., with the biggest event hold in Rome. Some images of the event in various cities can be found at this link . The key to the protest (which was completely peaceful) was the colour purple. Purple was supposed to be the only colour allowed – it’s neutral, it does not refer to any political entity, it therefore suits very well a protest which is supposed to be completely Party-less. Not a protest against the Government (not this time..), but against one person. A plea for making him accountable for his actions. Unfortunately things turned out differently, and in Italy there were loads of political flags. Mainly the red ones of the communist party, but also those of IDV (Italia Dei Valori), a party founded by Antonio Di Pietro, an ex-magistrate. A lot of political members from the Left (Note: Left is a very vague word in Italy, so don’t take it to mean anything particularly, especially not as in “contrary to the Right”..) decided, at the last minute, to take part in the event. The media immediately used that as a sign that the whole event had been orchestrated by the Left (again, let’s say the a-Right) to make the Government fall. I have just watched the news on Internet, and got the impression of an own-goal . Of course, what happens on the italian media should never be considered even close to the truth. 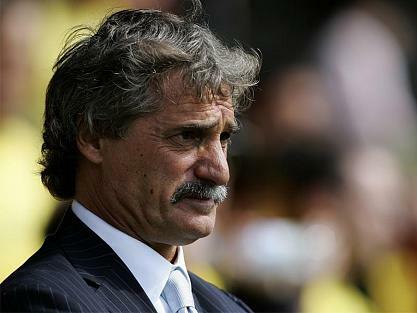 But I really don’t understand why Italians cannot abandon the football-like approach to politics, and just go in the street to ask for the resignation of a person who is not doing the interest of the country.. It is a bit disappointing because, in my view, the No B-day lost a lot of its meaning once the colour red started popping out..
At the same time, while people were marching in the streets and mafia bosses were saying in the courtroom that Berlusconi used to be their best mate, the Italian police arrested, just today!, two apparently very important mafia bosses. With an incredible timing, this event took over (and rightly so) a big chunk of today’s news. It has also offered Berlusconi the stage to defend the work the Government is doing against the mafia, and to reject “all the rubbish said by completely unreliable individuals against the PM”.. 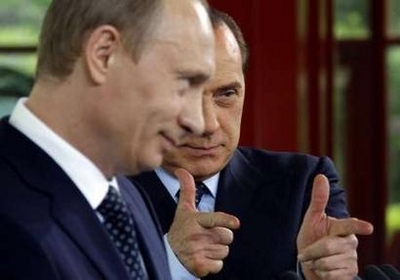 I am afraid the final score of the No Berlusconi Day is 2-0 for him. “Graziano told me that we had got everything thanks to the reliability of the persons that carried out the deal. Two names were mentioned to me: that of Berlusconi and that of Dell’Utri. (…) Because of the reliability of these persons, the country had been basically put in our hands”. Info in english can be found here, here and here. This blog seems obsessed with Berlusconi. It is, in fact. I would rather write about other stuff, but the actuality still puts the Italian Prime Minister under the spotlight. 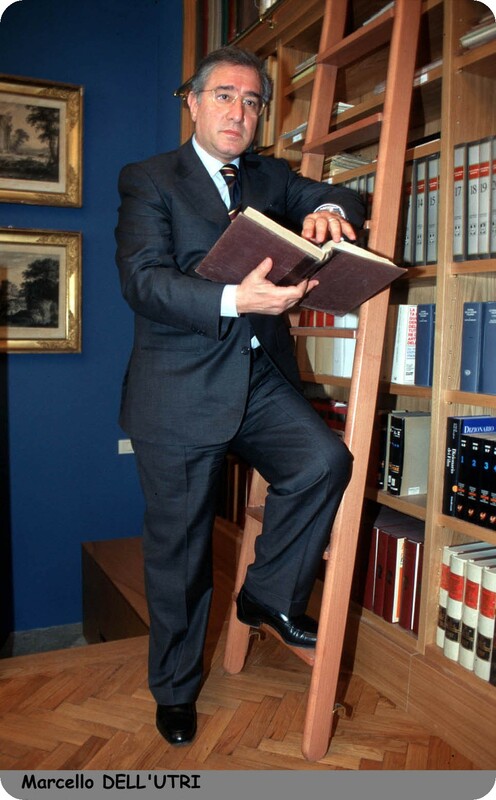 Berlusconi’s reluctance to deal with the courtroom is well-known. 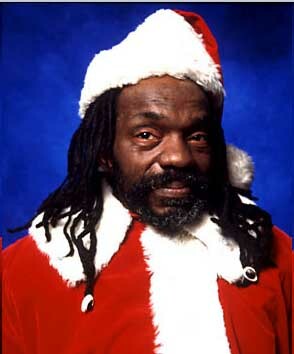 The blog has already devoted a few posts to describing his constant attempts to avoid charges, escape questions, delegitimize judges and decriminalize a series of once-upon-a-time illegal practices. Every time the judges make some threatening sound towards the PM, they face public uproar on the media. “Giustizia a orologeria!” (“Clockwork justice!”), is the mantra that all the members of PDL repeat constantly on TV and on the press. 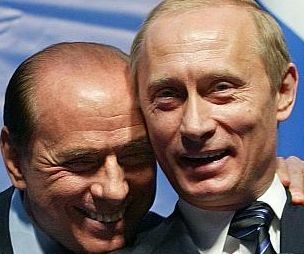 This aims to convey the warning that the judges – being (according to the PDL) communists- are constantly plotting against Berlusconi to make him fall. In the past days, more warnings for ‘clockwork justice’ are being sent over the italian media: the judges are getting too close again. We need to stop them! This time though, there is less reason to feel simply depressed, almost bored by another episode of the soap opera Berlusconi-Law. This time, a word has been mentioned, a word that is heavier than ‘corruption’, ‘anti-constitutional’, ‘immoral’. The word is mafia. ” The number of activities carried out by Dell’Utri, given his causal role in them, amounts to a concrete, voluntary, conscious, specific and precious contribution to the maintenance, consolidating and strengthening of Cosa Nostra, which was also offered the opportunity, still through Dell’Utri’s mediation, to get in touch with relevant economic and financial groups, thus being able to pursue its illicit ends, both the merely economic and the political ones“. (translated from it.wikipedia.org). Dell’Utri today is still a member of the Senate. He has appealed against the verdict. This story starts from here. The trial against Dell’Utri is still running, and tomorrow an important witness is due to talk: the mafia boss Gaspare Spatuzza. Spatuzza is facing a life sentence for the killing of father Pino Puglisi, a priest who was preaching against the mafia. Also, he has been sentenced to life for being the material executor of the terrorist attack in Florence, on 27th May 1993, in which a whole family died and more than 40 people were injured. 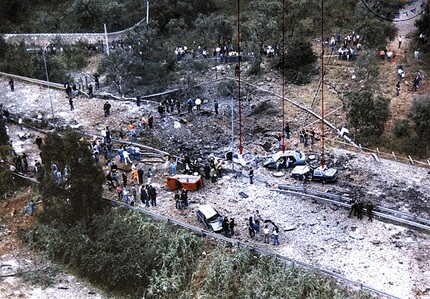 That happened during the years 1992-1993, when the mafia carried out a series of dramatic attacks in Italy. Both massacres happened in Sicily. In 1993 though, bombs went off in the mainland of Italy as well. One in Rome, in May; another one in Florence; a third one in Milan, in July. Why was the mafia causing all this mayhem along the country? What did they want? It was a message to the State. After the big scandal that (temporarily..) wiped out most of Italy’s political class, the Christian Democratic Party (DC) that ruled for 50 years (see the movie Il Divo for a great portrait of Italian politics under DC rule) lost control of the country. The Mafia too lost a valid ally: at the same time, after the killing of Falcone and Borsellino, the Italian Government enacted a series of policies to block Cosa Nostra’s attacks against the institutions. One of these was the Article 41bis, a rule prescribing harsh treatment in jail for (among others) those charged with mafia crimes. 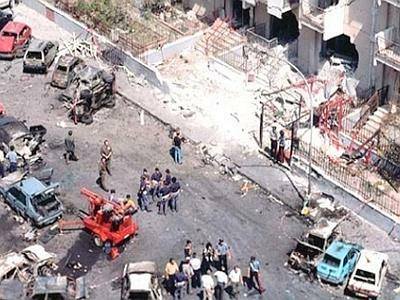 After the third 1993 attack, in Milan, another bomb failed to go off, in Rome next to the Olimpico Stadium. Had it gone off, it would have killed around 100 Carabinieri who were standing outside the stadium. The official explanation was that the bomb’s mechanism, luckily, had failed. The unofficial one was that the attack had been called off at the last minute. The ‘pact’ between Cosa Nostra and the State had been reached. Gaspare Spatuzza has chosen to speak to the judges about those years. He has become a ‘pentito’, a state witness. Under interrogatory, he has revealed that in 1993 he was told by the Graviano brothers (the two mafia bosses whose leading role he took over after they were arrested) of the possibilities of a ‘pact’ with the State. The Gravianos first told Spatuzza to organise the attack at the Olimpico stadium. On a second meeting, in 2004, they told him that the pact with the State had been reached. 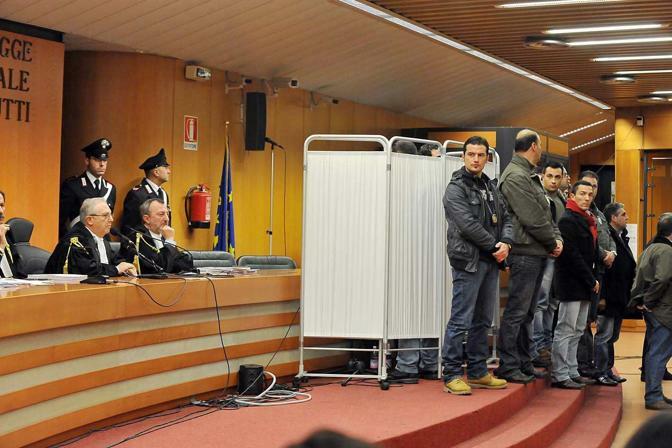 “Graviano was very happy -Spatuzza told the prosecutors. He said we’ve got the full deal, and that these were serious people, not like those loser socialists (possible reference to the previous Italian PM Bettino Craxi).” Spatuzza says he was told that those “serious people” were “the one of Canale 5” (one of Berlusconi’s tv channels) and “a countryman of ours”, namely Marcello Dell’Utri. He has clearly made the names of Berlusconi and Dell’Utri as those with whom Cosa Nostra was making a deal 16 years ago. In 2001, Berlusconi won the elections for the second time, thus becoming (for the second time) Prime Minister. 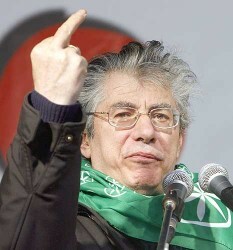 In spite of his alliance with the Northern League, he received full support from Sicily’s voters. Full means full: 61 candidates were elected in 61 constituencies. 100% success. Quite remarkable. The Article 41 bis is still in place. Mafia bosses have started talking to the judges (their natural enemy), about (and against) Berlusconi after 17 years. Are they giving up the hope for a change? Spatuzza is due to speak tomorrow at Dell’Utri’s trial. Stay tuned.